There is so much riding on a good display these days compared to the days BCP (Before Cell Phones) affected our ability to concentrate on much of anything. With the average person checking their cell phones 160 times a day (you read that correctly), people are quite often in a quick scan frame of mind. Breaking that habit and getting people to focus takes a bit of effort nowadays. Did you know that we have a shorter attention span than a goldfish? I invite you to go read that blog post, but if you do go read that now, don’t forget to return here! LOL! 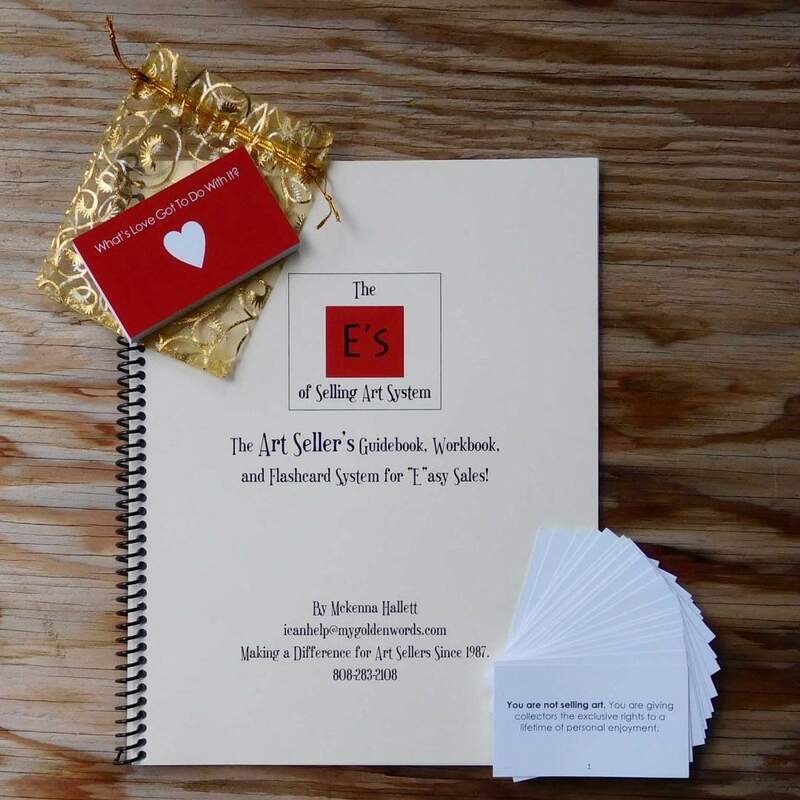 With the all-important holiday gift season upon us, many of you are about to show your work off at art shows, art fairs, open studios, or even your local farmer’s market. 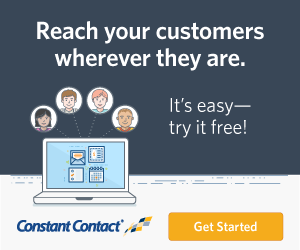 Is your display going to help or hurt your sales? 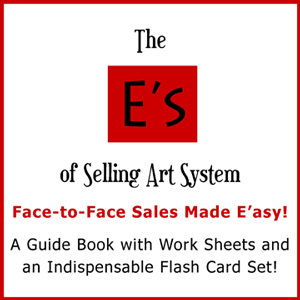 It’s worth taking a look at the basics for a good display in today’s marketplace of distractions. 1. From Far Far Away! Your wonderful artwork alone is not always enough to draw attention. You need a “show stopper” in your display. You need something that draws people in and holds their attention. If you are fortunate to be creating on a large scale or are using bold colors – or both – you are automatically displaying something that can be seen “at a glance”. Just make sure your biggest and boldest is given a prominent position. However, if you are a jewelry artist, glass or clay artist, or even a fiber artist, you need to have the “shiny object” in your display on a scale that is “larger than life”. Any work that has intricate detail or is small in size needs a display boost to catch the wondering eyes and minds of passersby. Your best bet is a professionally created photo measuring at least 20 x 16 inches for jewelry and even bigger for many other mediums. You want a solid representation – in a quick glance – that will be seen, recognized and interpreted, and spark deeper interest. If you can only afford one photo, place it on the back wall. If you can afford two, then place them on the side walls to catch attention from both directions. Ultimately, if you can have a photo on all three sides, that would be perfect for most mediums. Of course, you may not have walls, but that shouldn’t stop you from hanging a photo on the sides anyway. Include your logo/branding in the photo! If you are a jewelry artist, you might consider having a model in the photo. If you are creating housewares or decorative items, you might have the items showing in situ (where they would be in a home). For example, a serving dish might be on a table or a vase might be on a mantle. A pillow might be on a couch. If you are a wearable art or fiber artist, a picture of your work on a model or in situ would do the trick. Those of you who are doing 2D work can also benefit from in situ photos. Remember, a picture is worth a thousand words, so make the picture tell a big story from a far away glance in your direction whenever possible. Once they are in your booth, the average 21st-century overstimulated consumer’s brain will quickly stray if it’s not challenged by your display. One of the best ways to keep people focused on all parts of your display is to have work on different levels. Just in the same way that I made a large font with a different color stand out at the start of this section, you need to create “stand-out” moments in your display, too. A riser here and there will do wonders. A stand that brings an earring collection together in one vertical display invites inquiring eyes and focuses the brain. Putting a wood sculpture on a free-standing pedestal increases it’s perceived value and demonstrates a possible display idea when it finds that loving home. This is a photo of a section of my jewelry display. Notice that I have unusual materials, but the “riser” concept is in full view. 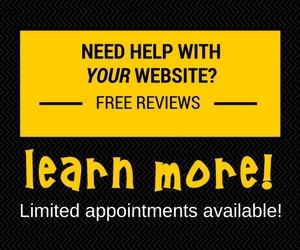 It’s tailored to keep people browsing. My line is very “organic” and using materials for the display that are a bit funky and untraditional works for me. However, if you have a more contemporary look and feel, you would want that mood in your display. If you create in the whimsical genre, be whimsical. Folk art? Be folksy. Your display is your persona. Be true to your art and that will attract the right people to your work. Your display materials, props, colors, and layout can tell people what to expect before they even zero in on your actual art. It’s also important to have some open spaces for the eyes and mind to rest and regroup. Just as we need space between paintings in an exhibition, you need space between “groups of work” in your display. If there is not “resting” space, people feel overwhelmed. They will feel that they have too much to look at all at once. Their minds will wander. Their cell phone will “call them home”. I often see that artists don’t use much in the way of signs in their display. I recently did an entire podcast devoted to the concept of signs and then added a video tour of my own display. You will see in the video that I am emphasizing the idea that you want some signs sprinkled into your display. Deciding what kinds of signs and how many are needed is a case-by-case situation. Over the years, I have come to realize that my line of jewelry needs some explaining for some people to even realize it’s jewelry! Watch this video to see the whole display! Although it’s not always possible, having lighting on your display is critical for a proper display. Even for an outdoor event, if you are under a tent or canopy of any kind trying to sell smaller or delicately detailed work, lighting can make or break your sales. If you are constantly sending people to “look at it in the light”, you have a lighting problem. I have known of artists who actually bring battery-operated lighting systems to shows. They will at least shine a light on their “signature” pieces and their large-scale product pictures on the walls of their booths. The other very subtle benefit from having lights on your work is what I like to call the “Ta-Da” effect. Lights focused on your art creates a sense of drama. It looks more professional. It feels like the piece stands out and is more important. That often translates to a higher perceived value. And from a practical standpoint: people can see what you are offering from a distance. This is especially important if they have been walking in sunlight and now enter a dark booth. If their eyes can take too long (Squirrel!!) to adjust, they just glance and move on. They don’t want to linger and look too interested if they don’t quite know what they are looking at to begin with! Here’s the bottom line on lighting: It can’t hurt to have proper lighting. Look for shows that offer you electricity and use it or bring some portable system and at least put a light of a few of your show stoppers. 5. How Much is That Doggie in the Window? Okay, so I am showing my age and some of you reading this won’t get the drift, but having prices in your display or some reference to prices is “priceless” to your bottom line. There is no reason to hide this from people who are wandering into your area. And frankly, the more expensive, the more you need to be up front. There are many reasons why this is important. 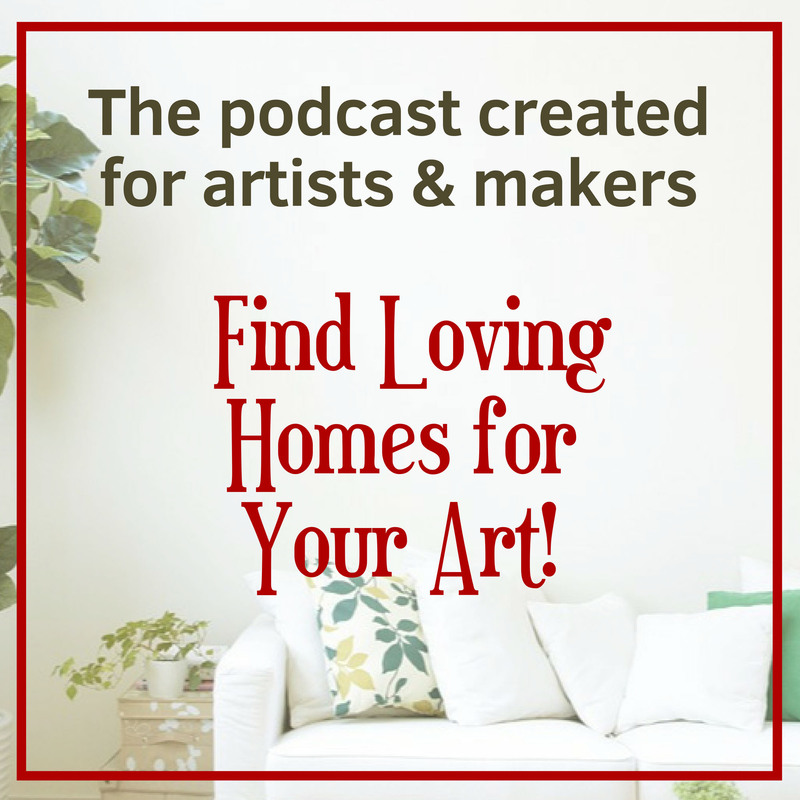 In fact, as I was creating this post, I realized that this is such an important subject, I made it the subject of my most recent episode of the “Find Loving Homes for Your Art” podcast on Patreon. I dug deep into the psyche of the buyer and I have four very compelling reasons why you should never shy away from showing your prices and doing it boldly. I look forward to your comments below! What display tricks can you share? Want to know when the next article is posted? Good reinforcement to those things I’ve always believed were important,I’ve found short bio/technique signs “IN LARGE PRINT” helpful and always a little story/romance with the title tag too. yes… Large Print makes a big difference, R.P. If you ever listen to my podcast, I make a very good case for this. There is so much that can ruin the opportunities in those first few seconds. Would love to see your display! Thank you so much for your pearls of wisdom ideas,for making me change my jewelry displays.It has helped a lot by making it look more professional and less busy looking. Wow… nice to hear from you, Janice! Thanks for your kind words. I wish you could post photos here so we could all see them, but this site is not conducive to that. If you ever end up being a member over on Patreon, be sure to post your photos in the community. I’m sure everyone would like to see your jewelry display!